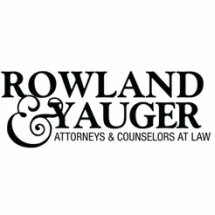 At Rowland & Yauger, we serve people throughout the Sandhills, Pinehurst, Carthage, Aberdeen, Asheboro and Southern Pines regions of North Carolina. We provide legal representation in a variety of practice areas, including personal injury, criminal law, bankruptcy, workers' compensation, family law and business law. The attorneys who started our firm, Mike Rowland and Brett Yauger, grew up in this community and are committed to providing their friends and neighbors with practical legal services that meet their needs. Whatever your concern is, you can trust us to take the necessary steps to get results. At Rowland & Yauger, small-town values and old-fashioned hard work make all the difference. In addition to our attorneys, we have a strong support staff that includes eight full-time assistants and two certified paralegals. Our entire firm is committed to providing quality, personalized legal services to our clients. You can trust us to resolve your legal issue in a way that works for you and your family. If you have questions about your legal options, don't hesitate to check out our FAQ section for helpful answers. To see how we have been able to help others in similar situations put their problems behind them, visit our client testimonials page. If you are ready to discuss your situation with a knowledgeable attorney, contact us today for a free consultation.